Once you can picture retirement, you’ll need a strategy designed to help make it happen. We can help. 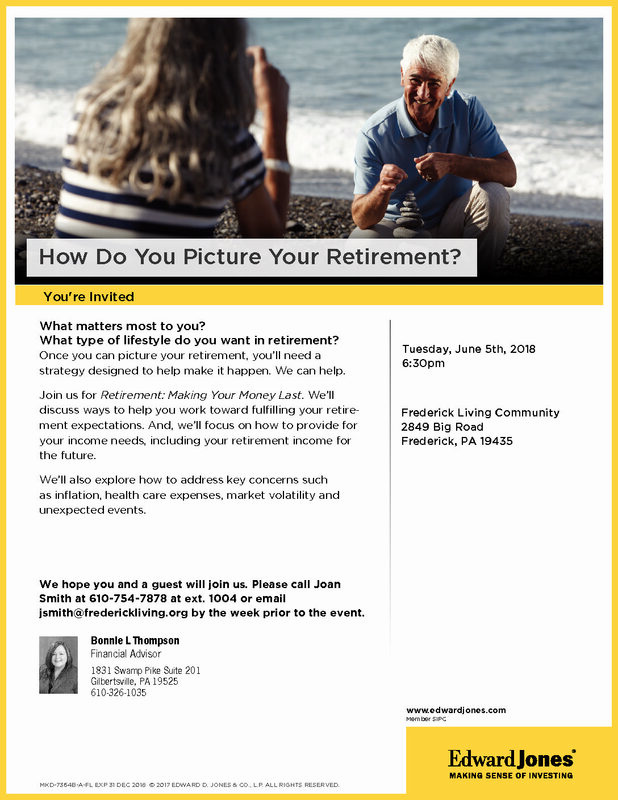 Join us for Retirement: Making You Money Last. We’ll discuss ways to help you work toward fulfilling your retirement expectations. And, we’ll focus on how to provide for your income needs, including your retirement income for the future. We’ll also explore how to address key concerns such as inflation, health care expenses, market volatility, and unexpected events. We hope you and a guest will join us. Please RSVP here or call Joan Smith at 610-754-7878 @ ext 1004.